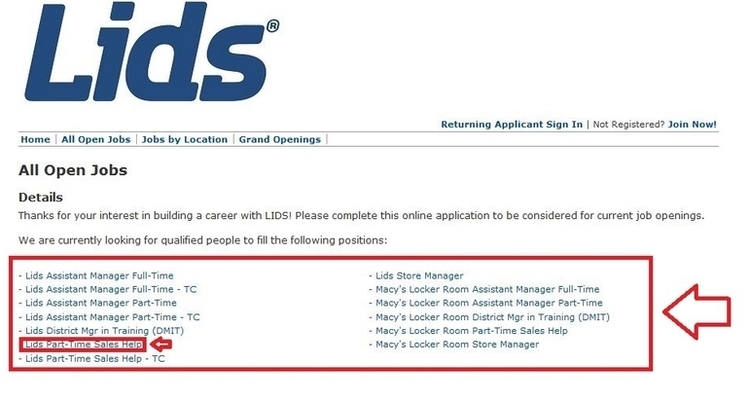 Read the description of Lids retail opportunities, corporate office and district manager opportunities, and distribution center/screen print/embroidery production, and choose a department to view available job opportunities. 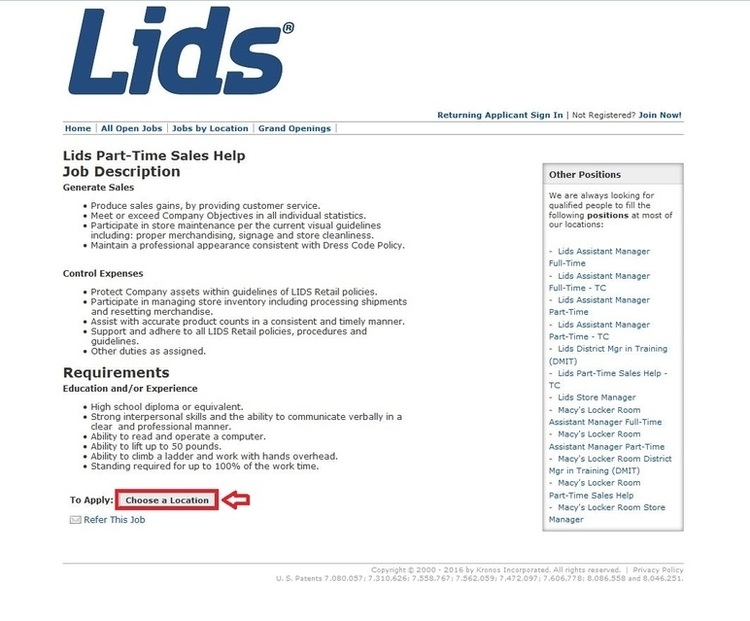 The current positions of the department are listed on this page, click on the job title of the opening you are interested in to start building your career with Lids. 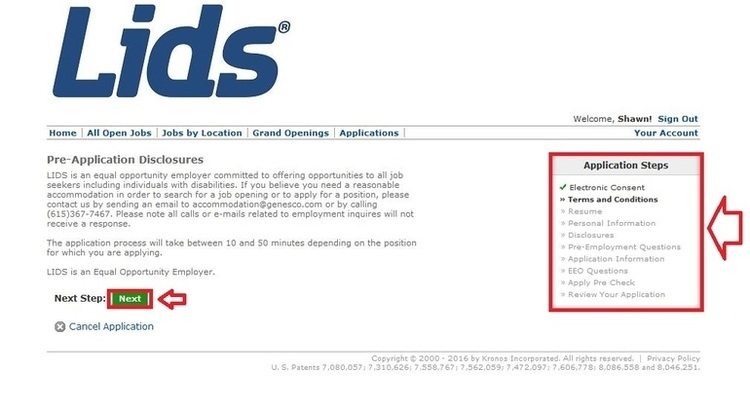 There is a simple description of the job you intend to apply for, read carefully and click on the button of “Choose a Location” at the bottom of this page if you would like to continue your application for the job. Select the location where you want to work at in the future by choosing state and city or entering zip code. Sign in with your username and password to continue the application process, or register an account to proceed your application by filling in your personal information like your name and email address. 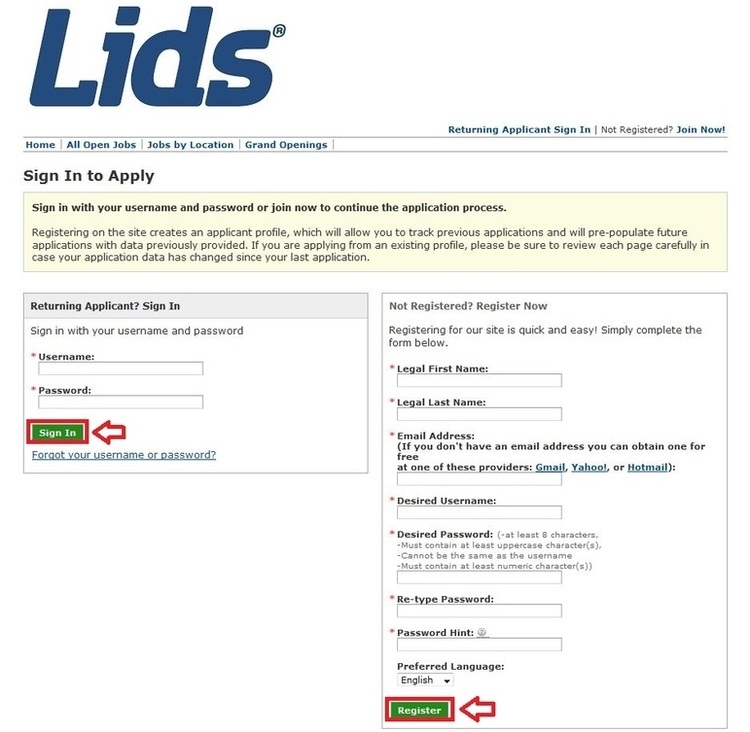 You are required to complete all of the ten steps to apply for positions at Lids online, including electronic consent, terms and conditions, resume, personal information, disclosures, pre-employment questions, application information, EEQ questions, apply pre check, and review your application. 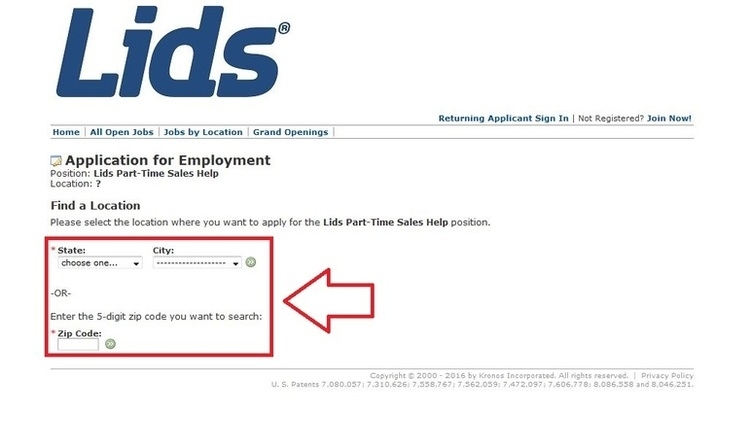 Click lids.com/jobs to apply for Lids jobs online.